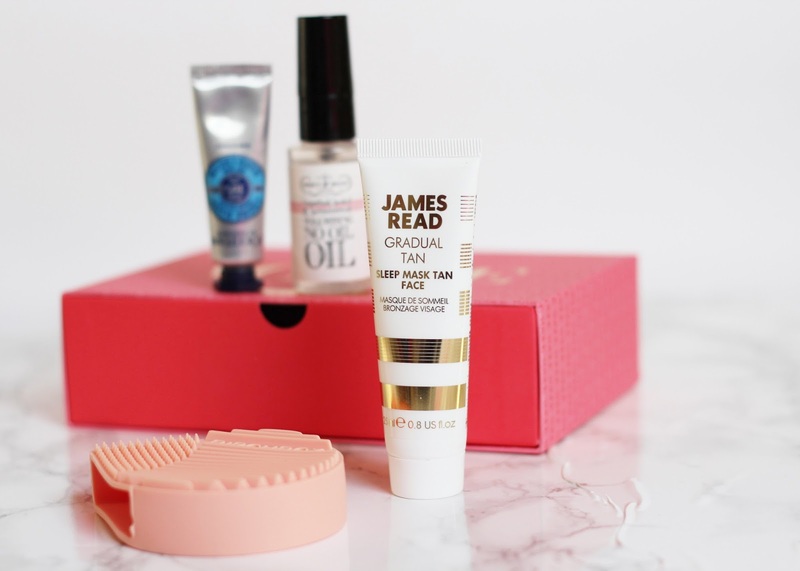 This month Birchbox have teamed up with Vogue to create a box with products handpicked from the Vogue 100 Beauty Hall of Fame. The box is not only a beautiful design but it is also packed with brilliant products that are Vogue approved! Everyone receives a mini Hoola bronzer from Benefit this month (not pictured because it quickly found its way into my makeup bag) which is a super handy size and one of my favourite bronzers to use. I've used L'Occitane products before and really love their hand creams which I've tried in lots of different scents. This cute handbag sized one is perfect, it's got very little scent and is great for everyday use, I now carry it in my bag to use throughout the day. Cleaning my makeup brushes is always a time consuming job, Birchbox have included this handy brush cleaner which has specially designed grooves to help remove every trace of product from brushes and makeup tools. I found this worked really well for deep cleaning brushes but also for thoroughly cleaning my Beauty Blender, which is notoriously difficult to clean! In December's box, there is a full size festive red lip in every box so the perfect item for Christmas makeup. You can order your box here to receive Decembers.